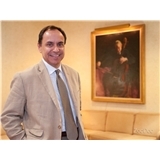 Fabian E. Carbonell, M.D. (Chicago) - Book Appointment Online! Serving a variety of patient populations with different psychopathology. We offer comprehensive care for most behavioral health ailments to help people reach their highest possible potential and become more adjusted individuals. Our care is delivered in a skillful and compassionate manner. I have successfully moved to West Des Moines IA. I had refilled most of my meds before moving. Dr. Carbonell is one of the best, if not the best, psychiatrists I've had in Chicago. He will be a hard act to follow in my new city. As soon as I get settled with a psychiatrist, I'll sign a form to forward my records from Dr. Carbonell to the new psychiatrist. I owe Dr. Carbonell so much!